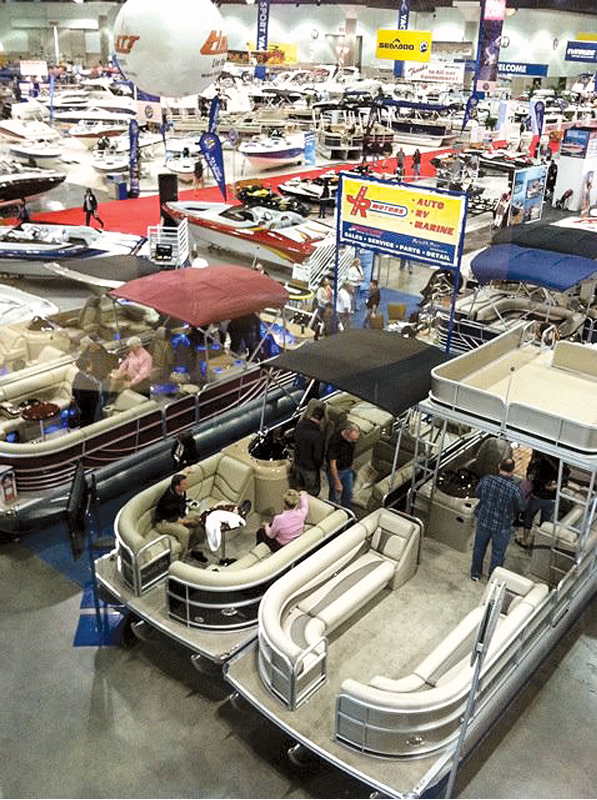 LOS ANGELES — The 2015 Progressive Insurance Los Angeles Boat Show docks at the Los Angeles Convention Center and Burton W. Chace Park in Marina del Rey Feb. 19-22, with a “boatload” of vessels and accessories to complement and enhance the boating lifestyle. Three halls at the LA Convention Center will house hundreds of new boats, ranging from entry-level weekend family cruisers to million dollar yachts, plus thousands of the newest marine gadgets and gear. The location in Marina del Rey will debut SailFest, featuring dozens of new and brokerage sailboats and yachts, along with expanded seminars and sailing vendors showcasing the newest sailing product. This year’s show includes “Kids’ Zone, an entertainment center with remote controlled sailboat races, toy boat building, balloon artists and a catch and release fishing pond. Boats of all sizes and price ranges will be ready for attendees to board and buy, from sport fishing vessels and cruisers to personal watercraft and pontoons, plus much more. In addition to browsing hundreds of boats, attendees can learn to captain a boat with daily powerboating and sailing lessons at the Marina del Rey location. Show hours for the convention center are noon- 9 p.m. Feb. 19-20; 10 a.m.-9 p.m. Feb. 21, and 10 a.m.- 6 p.m. Feb 22. Show hours for Burton W. Chace Park are noon-5p.m. Feb 19-20, and 10 a.m.-5 p.m. Feb 21-22. Complimentary round trip shuttle transportation will be available to take guests to and from the convention center and Burton W. Chace Park. The show is produced by NMMA West and sponsored by Progressive Insurance. For more information, visit losangelesboatshow.com.